With the reporting of credit scores by banks and credit monitoring sites, many consumers now know their score. Unfortunately, it’s no secret that plenty of people have come to the realization that their credit score is holding them back in many ways. A poor credit score can prevent you from renting an apartment, owning a home, buying or leasing a car, going to college, landing a job or securing a cell phone. Here are 5 things you should know about credit scores and how to determine what is a poor credit score versus a good score. 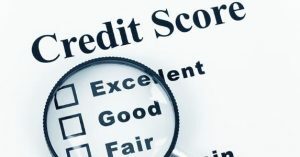 A poor score is somewhat subjective depending on the type of credit a consumer is applying for. Home loans have some of the strictest credit standards while department store credit cards have fairly lax standards. Home loans will typically consider anything under 620 as a poor score, but that doesn’t necessarily mean it is impossible to get a home loan under some programs. Credit card banks will often offer unsecured credit lines to those with scores ranging in the high 500s and low 600s, but the interest rates will often be subprime. There may be additional fees tacked on as well. When analyzing what is a poor score, it is important to understand that scores under 500 are considered very poor. Consumers with scores that low will struggle to get unsecured loans or credit lines. However, it isn’t the end of the world. It is possible to raise your credit score. Unfortunately, it doesn’t take much to knock a credit score down. One late or missed payment, excessive credit card debt, and/or a medical bill sent to a collection agency can reduce a score by double digits. It takes very little time, a matter of months, in fact, for a score to be negatively impacted. However, it can take several months, if not years to repair. Consumers with scores that fall into the poor credit range (typically 580 or less) will pay close to double the interest rates compared to those with a good score, 670 and above. For example, it is very costly to secure an auto loan/lease with “reasonable” interest rates. You are more likely to experience punitive/subprime rates. Many consumers would be better served to save the cash in a bank and buy what they need outright rather than take out a high-interest loan/lease. Understanding how scores impact interest rates for loans and credit cards is an important step to rebuilding credit. Before applying for credit, consumers must have a firm understanding about what is a poor credit score. Never make assumptions about whether a score is good or poor until you have the facts. Choose wisely when it comes to applying for new credit. Don’t get sucked into cards with steep interest rates that will cost you more money and drive you further into debt, effectively hurting your credit score more than it already is.